Officials in Israel play down comments by Turkey's Deputy PM that a compensation deal is near. 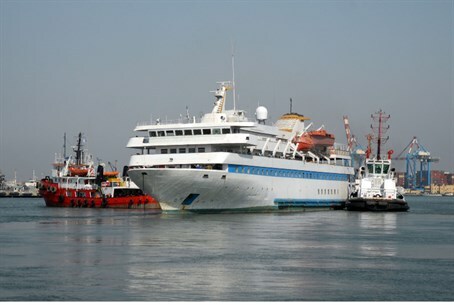 Israeli officials on Tuesday evening played down reports that Israel and Turkey will soon sign a compensation deal over the infamous "Mavi Marmara" incident. Reacting to remarks made earlier by Turkey’s Deputy Prime Minister, Bulent Arinc, officials in Jerusalem told Channel 2 News that no agreement on a deal has yet been reached. Arinc had been quoted as saying that Turkey had received a final agreement document from Israel and that after next Sunday's local elections, "our first job will be making sure the compensation is bound by a legal document." According to Channel 2, Arinc’s comments surprised many in Israel, some of whom believe that the reconciliation agreement between the two countries is still far away. Sources who spoke to the channel said that Prime Minister Binyamin Netanyahu had not yet received guarantees from Turkey that upon payment of compensation to the families of the victims of the Mavi Marmara incident, Turkish Prime Minister Recep Tayyip Erdogan will stop his constant verbal attacks on Israel. Talks on compensation over the nine Turks killed in the raid began in March 2013 after Israel extended a formal apology to Turkey over the incident, in a breakthrough brokered by U.S. President Barack Obama. The amount of compensation to be paid was believed to be among the sticking points. In February, it was reported that Israel had offered $20 million in compensation to the families of those killed and wounded in the flotilla raid. It has also been reported that Erdogan has been making it difficult to reach an agreement, due to his demands that Israel present a “written protocol” in which it promises to lift the “siege” on Gaza. Legal rights experts have reacted angrily to the prospect of Israel paying compensation for what they say was a simple act of self-defense. Israeli commandos who boarded the ship were lightly armed, and only responded with lethal force after being set upon with knives, clubs and other deadly weapons by members of IHH - the Al Qaeda-linked Turkish group which helped organize the Gaza flotilla.